When we talk about health care policy in America, very rarely do we mention the roles that class and race play in determining our access to and the quality of health care that we receive. In New York state (and city), this issue has risen to the forefront of public health debate, as a state-wide commission has issued recommendations on “right sizing” the health care system by closing a number of hospitals. To visually illustrate the roles of race and class in our health system, and encourage New Yorkers of conscience to take action to stop dangerous hospital closures in NYC, The Opportunity Agenda, in partnership with a coalition of New York City health care advocates, released Health Care That Works—a Google Maps mash-up that overlays data on NYC hospital closures between 1985 and 2005 on an interactive city-wide map that can display either the racial or economic demographics of the Five Boroughs during 1985, 1995, or 2005. The result is a highly interactive site designed to teach people about the disproportionate impact that these closures have on the health of communities of color and low-income communities. As a community of nurses, I’m sure you are all well aware that when hospitals close—particularly in underserved neighborhoods—preventive care (and primary care) becomes increasingly hard to obtain, leading to poorer health outcomes for that community. I hope you’ll visit our site, and join our campaign to stop these hospital closures. Also, I’d like to invite you to stop by our forums and share your stories about hospital closures, the benefits of preventive care, or spread the word about your wonderful campaign here at National Nurse. Here's a link to download an mp3 audio file of the NPR affiliate in Santa Barbara, KCLU, interview with Alisa, Teri, and Congresswoman Lois Capps. This was broadcast live on January 4, 2007. 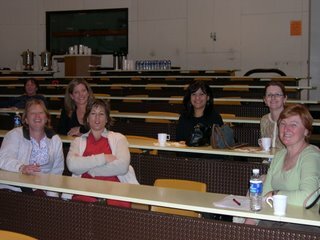 I am Portuguese Nurse, and I was searching on the internet, about Nursing and Blogs, and found out yours! Congratulation on your attempt to promote Nursing and Healthcare! In Portugal we have an opposite of your reality, we are beginning to have an excess of nurses, because it was divulged on the media as a secure employed career, which brought after some years this reality! Our Order is trying to putt a Hold in it. By formation we all have 4 years in Nursing School and after 2 years we can try to become specialize in some area that our Order allows! I think that in comparison to your reality we have graduate, postgraduates, Master, and Post Masters. Myself, I am Specialize (postgraduates ) in Public health, so I think that your campaign will improve health in US. The Nurses are the Backbone of the Health System, even if they are not recognize as so! In Portugal we have several Links connect to nursing. I myself have a Blog, written in Portuguese, sorry! Despite of that I will send you other links that you will find out useful, please visit us. You gave great interviews. Good job! The National Nursing Network Organization received word this week that it is now an official a 501(c)4 non-profit legislative advocacy organization. As you are probably aware, many organizations and campaigns hire a lobbyist who is paid to go to Congress and advocate on their behalf. This is not the case with the National Nurse Campaign. We believe this campaign is for those of us who live on Main Street, not K Street. Members of the National Nurse Team value the power each of us as individuals has to participate and make a difference in improving the health of our country. All three of our elected nurses in Congress began with nursing careers, and all three have made a huge difference in helping to improve the lives of nurses and ordinary Americans. It is our goal to do the same. So when advertisers approach us, and ask if they can advertise on www.nationalnurse.org and pay us, we continue to refuse their offers regardless of what they are selling. 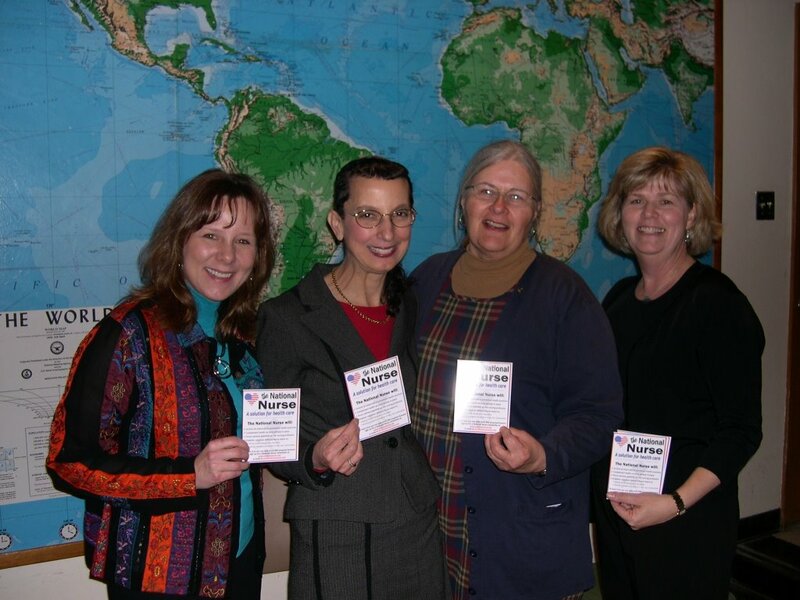 This campaign depends on you-and today we ask you, our supporters, to please make an on line donation by clicking the donate now button, or email teri@nationalnurse.info to learn where to mail a check. We are asking for $20. For those who contribute $20, the team will place a certificate in your honor inside a packet that will be delivered to your US Representative during our March trip to Washington DC. A copy will also be mailed to you. Please know that it costs $20 to make up a professional packet of supporting materials about the Office of the National Nurse, so your donation is actually paying for this packet. Supporters living in California, Florida, Illinois, Michigan, Minnesota, New York, Oregon, Vermont, and Virginia have already made donations. Please join them and add your voice to the Campaign for the National Nurse. 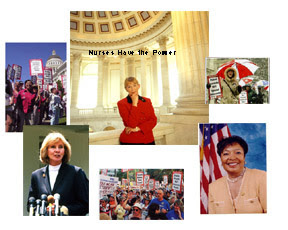 You have the power to make the Office of the National Nurse become a reality. There are other ways you can make a difference besides making a monetary contribution. Sign the on line petition. Submit your email in the box on the right side of this webpage to receive the weekly updates. 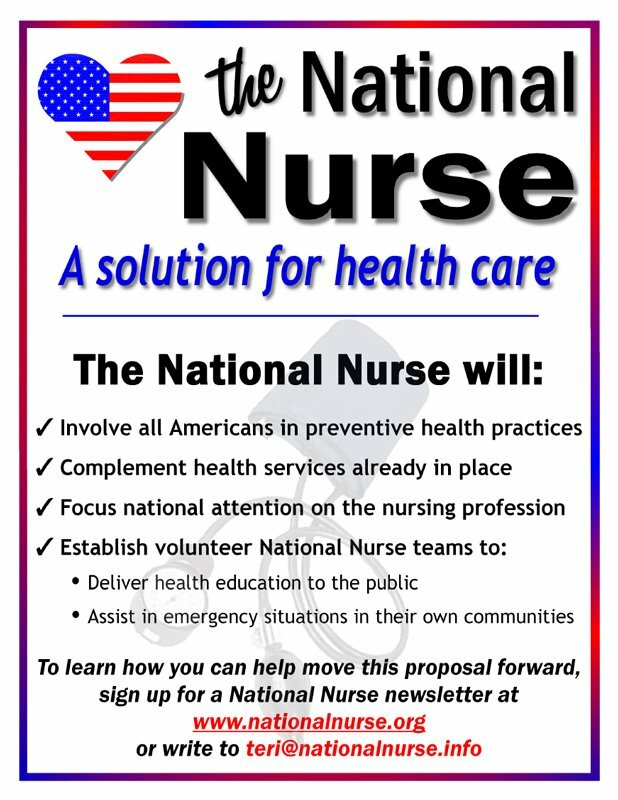 Write to teri@nationalnurse.info and request a poster to hang at your school. These are free and can be downloaded and printed on your own computer. Thanks so much for your support and the best of luck to you while in college. Thank you to those who came out on a windy, stormy evening in Santa Barbara to hear a presentation about the Office of the National Nurse and the activities surrounding the proposal and bill. The National Nurse team spoke with several nurses who had worked during the day, so it was especially appreciated that they came out to listen and also to ask great questions. Also, special thanks to Nancy LaSota and Marcia Boudreaux-Shumaker who put in the time and made the arrangements for Alisa and Teri to travel to Santa Barbara. The National Nursing Network Organization welcomes these opportunities to educate others about the Office of the National Nurse, and you may write to teri@nationalnurse.info if your group is interested in having them come to a meeting or conference. Oncology nurses are particularly concerned about our patients receiving the message of prevention. We also talked about the mountain of paperwork every nurse now faces, and the many necessary interventions our patients need that are no longer covered by Medicare. California Association of Nurse Practitioners Endorses HR 4903! The California Association for Nurse Practitioners (CANP) offers its support for HR 4903, the National Nurse Act of 2006. We commend Teri Mills, President of the National Nursing Network Organization, for her hard work and dedication to this project, and to Representative Lois Capps (CA) for her leadership in crafting this legislation. HR 4903 seeks to create an Office of the National Nurse to advocate for, and to educate and empower American health care consumers. The focus of this office is to provide all Americans with preventive health care resources. CANP officially represents 2,500 nurse practitioners in California, and unofficially represents more than 10,000 licensed nurse practitioners. 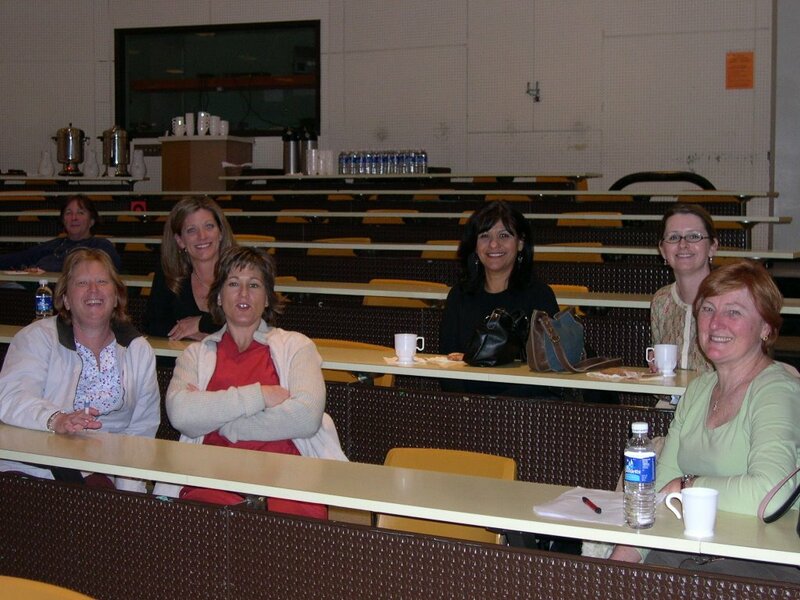 These nurse practitioners represent all clinical specialties, practicing in primary, acute, and specialty care areas. CANP supports the establishment and permanence of policies and programs that provide primary and preventive health care for all. Bridging the gaps in healthcare to meet the needs of the patient is CANP's purpose. CANP supports legislation that will improve access to that healthcare. CANP supports HR 4903. Want to make contact with your Representative but are unable to travel to Washington DC? Simply giving $20 would cover the cost of printing informational materials that can be delivered to your Congressional member in your name. The National Nursing Network Organization will print a certificate to place inside the packet and will make sure you receive a copy too. 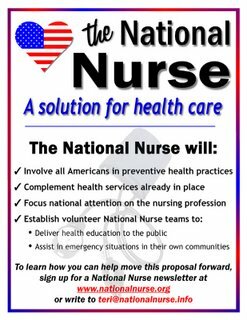 Email teri@nationalnurse.info to find out where to mail a check or simply click the “Donate” button in the upper left hand corner of this web page. On line donations automatically send the team an email with your name and contact information so we will know what information to place on the certificate. It is supporters like you that drive this campaign. Please make a donation and keep the campaign going strong. I have been a strong supporter of establishing an Office of the National Nurse for over a year. Over my 23-year career as a registered nurse, I have personally witnessed many times when teaching a patient how to prevent disease has saved or improved their life. As a male nurse, it is important to me to have a National Nurse to help disseminate the barriers, myths, and stigma about nurses. It is critical that the nursing profession work to serve the entire population, and in order for this to occur, we must be able to attract men and people of color. The Office of the National Nurse is one way to elevate our work and to demonstrate to the public our breadth of experience, knowledge, and expertise, thus inspiring others to choose nursing as a career than can be proud of. 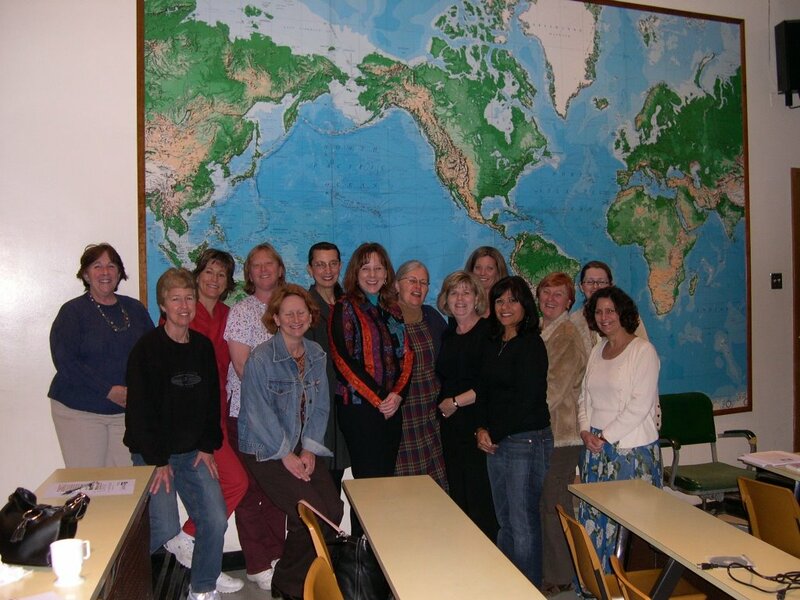 I am a member of the Oregon Nurses Association and the Association of Nurses in AIDS Care. 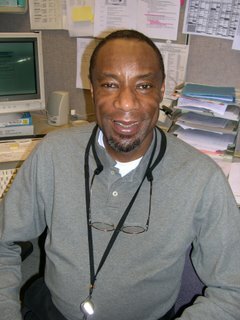 Presently, I work as the Lead Nurse for the Multnomah County Health Department HIV Clinic, the largest such health care facility in Oregon. 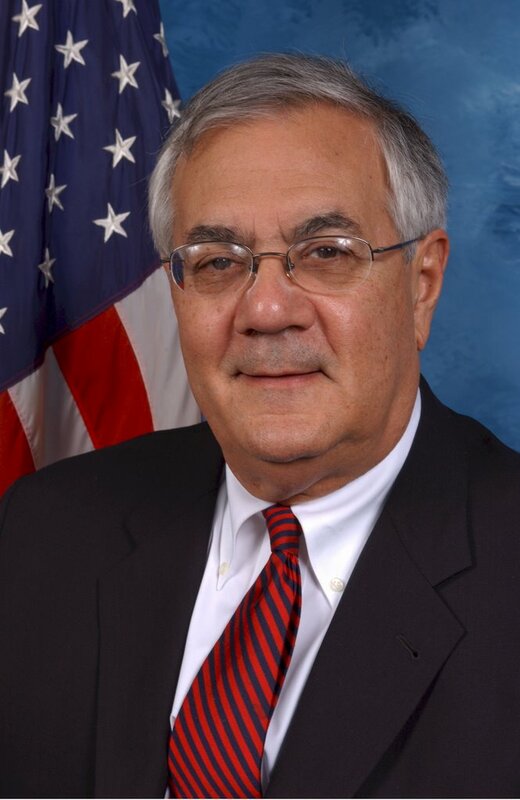 Congressman Barney Frank (MA) signed on to the National Nurse Act of 2006 on September 13, 2006. Barney Frank has been a member of Congress since 1981. 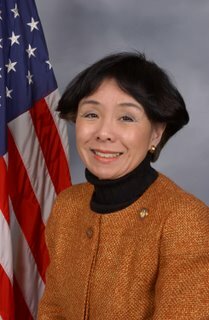 Presently he is the Senior Democrat on the Financial Services Committee. 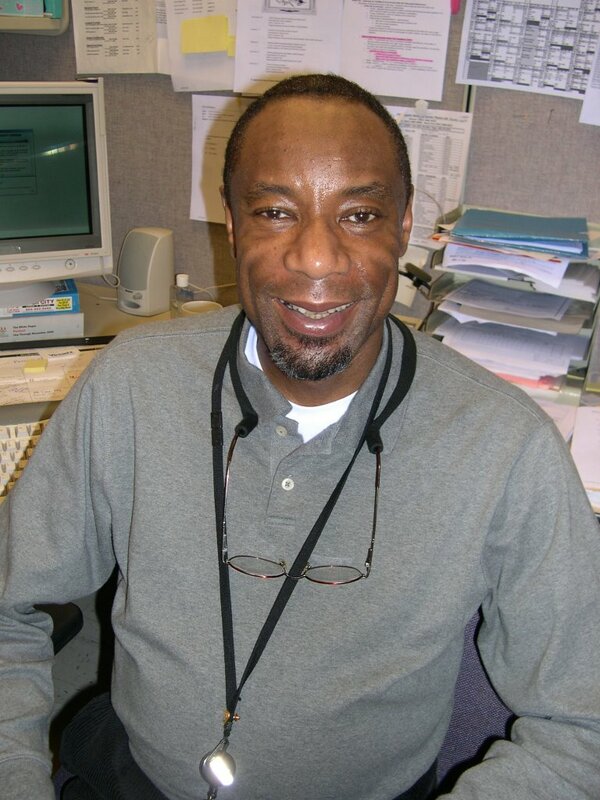 Previously he was a Massachusetts State Representative and an assistant to the Mayor of Boston. Congressman Frank has also taught at several Boston area universities. Congresman Frank states he is pleased to support H.R. 4903 and looks forward to supporting it in the 110th Congress. The National Nursing Network Organization is grateful for his co-sponsorship. "Our nation's nurses are the backbone of our health care system. They are critical to every clinic visit, every hospital admittance, and every public health response. For that reason, I am very pleased and proud to cosponsor H.R. 4903 so that the federal government may do everything in its power to help potential nurses across the country achieve their dreams."